Our Sweet Fluffy is missing. Our "world's greatest cat" who is 11 disappeared earlier this week. We are very much in hopes that he still may return home. Cats do that sometimes. In an effort to find Fluffy, I went to the Animal Shelter looking for him. I was absolutely overwhelmed by the precious animals there waiting for a home. So this is my plea to you, please do not buy a dog or cat!! At the shelter I saw every kind of dog including a full breed Jack Russell terrier. There were new puppies and kittens. There were many mature dogs who would probably make the best pets ever. If you are thinking about adding to your family, visit your shelter. Another option is to just wait for a homeless critter to walk by your house - you know it will happen! The cat, Willy, came from the shelter, as did our dog, Jack. Our newest dog, Duke, was a stray that that did literally walk by my house. He's a delight and I know he found us on purpose. I totally agree with you that you should never buy a pet! Let us know when Fluffy comes home. I'll be thinking about you! Oh my, I hope your kitty returns. I'm not a cat person, but Fluffy is just beautiful. I'm so sorry Fluffy is missing, sure hope you find him soon! My daughter~in~law's sister has a cat that was missing for over a month, he finally found his way home. Oh, I hope Fluffy comes home; I know how painful it is to lose a furry family member. I agree with you 100% about not buying pets; all of my pets have been strays, given to me, or adopted. I hate the thought that people spend hundreds of dollars on pets when there are such loving animals in shelters waiting for a home. Oh Stacey, I hope your baby comes back. We had a beautiful boy cat show up at our house took him and fell in love. After having him about 3 months, one morning he disappeared and we have not seen him since. We miss Smokey. Your cat is beautiful too. Oh NO...I do hope Fluffy finds his way home. It is so sad that your fur baby is missing. Stacey, I hope your sweet kitty gets back home :-). You will need to post "prodigal son, kitty pics. Stacey, I hope you find Fluffy!!!!! I know how you feel! Oh no! I do hope that Fluffy returns to you soon! Our cat did that when she was about that age and yes, she did return...days later. (and missing a tooth!) Fluffy is adorable...I pray for a safe return home. Our Golden is from the Golden Rescue in GA when we lived there. She had been abused. We've had her 9 yrs now! Growing up in AR, many of our pets did just wonder up! I grew up in the country and people would "dump" their pets out there...I guess knowing we would take care of them. OH...meant to tell ya, we slept with the windows cracked at night and that's when I heard Snikki meow that she was home...late at night! So, so sorry that your kitty is missing. Print flyers, call all of the vets offices, put an ad in the paper, call all shelters, call all neighbors. I've never lost a pet, thank goodness, but it must be just horrible. I do hope that your little one returns. Stacey, So sorry to hear that Fluffy is missing. I hope by the time you receive this comment on Saturday morning, you will have Fluffy home again. I agree with you about the animal shelter situation. It is difficult to visit and leave empty handed. I am so sorry about Fluffy missing. I hope you find her soon. I rescued Old English Sheepdogs for 6 years and you are right, shelters are full of wonderful animals. I hope people follow your advice. P.S. I will be praying you find your kitty!! I sure do hope that Fluffy finds his way back to you. He sure is a nice looking kitty cat. Stacey, please tell me you've found Fluffy. I sincerely hope so. I personally know how it feels to lose a beloved pet. It is hard enough when one dies with you but it is SO much harder not knowing what has happened to them. I am praying Fluffy is home now. Bless your heart. Hi Stacy. I'm so sorry about Fluffy. He may still show up. Anguish. We live in Caddo--the south part of the state. It is almost too hot here for St. Augustine. At least our yard is shady for the most part. I'm keeping my fingers crossed for Fluffy. I'm a cat lover but we have only one right now. I think he is our last. Thanks for coming by. I hope to hear good news soon. Stacey: I so hope Fluffy strolls back in, like cats often do. I have 3 cats! Two are 12 and one is 10 and they are definitely members of our family! I will say prayers for him...and you! Stacey ~ God speed on the safe return of your sweet Fluffy. Cats are funny creatures...I wish they would leave a note when they go on an adventure. We are all keeping your kitty in our thoughts and prayers. So sorry your kitty is missing. Hoping he is coming home soon...as you say, cats do that sometimes. We don't have a pet now...when the kids were home, we always had a dog. We have such strict leash laws here that we never ever see a stray dog around our house. I am so sorry about your cat missing! Hopefully it will return soon! 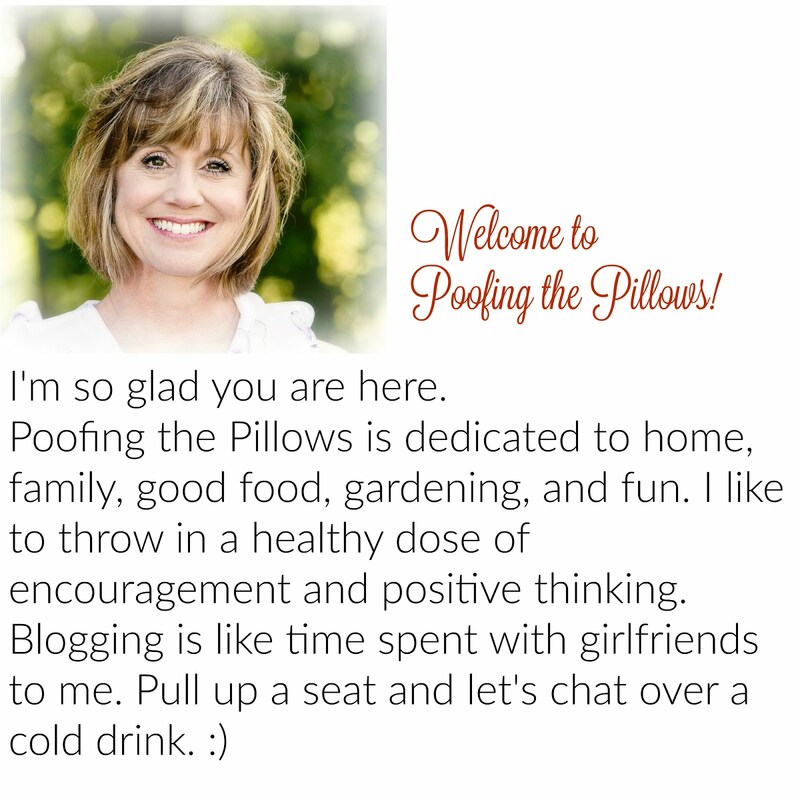 Thank you for visiting my blog and leaving such kind words! Hi Stacey, thanks for your sweet compliment! Love your home too, and your backyard is awesome! Oh no Stacey I'm so sad. I do hope he is okay. Our cat Chestnut is strictly indoor only. I can't even imagine him being out and he doesn't know the difference. We found him on Christmas Eve in our backyard 5 years ago. He was a bitty 2 pound stray and the vet said he was about 2 months old at the time. He's a whopping 21 pounds now! Whoops! He does love his food. Oh, I do hope and pray that Fluffy comes home. We have 4 cats, and love them all like our children. The two males were strays that found a vacancy sign at our front door, and the girls well, one was found in the middle of the interstate and my husband fought traffic (in Atlanta) to rescue this tiny kitten, brought him home in his dress shirt pocket, the other we say we rescued from the pumpkin patch, they were giving them away and she couldn't wait to get out of the awful cage. Oh, our dog also came from the shelter, too. He's a pain, but a keeper! Give Fluffy a big hug for me when he comes home. I'm so sorry. I hope and pray Fluffy finds her way home. I agree about going to the animal shelter, too - there are just too many animals that need us. I do so hope your cat came home. Yes, all of our pets are strays. Your kitchen is beautiful, and I love the plate stand on your header. I wanted to check on the status of Fluffy. Is she home yet? I was just trying to think if I let one of mine back in before I left this morning, it is supposed to storm today, plus she hates the dogs across the street. Anyway, Fluffy came to mind.